New Zealand really does conjure up images of Middle Earth. It is a land filled with breathtaking scenery, striking mountains, pristine beaches, lush forests and rolling hills. The landscape is so diverse in such a small space. One minute you can be walking on a glacier and the next you can be hiking beside a waterfall. It is simply an unforgettable journey. This New Zealand travel guide will help you plan your next vacation. Internet can be slow and expensive, travelers can check out McDonalds and libraries for free Wi-Fi. Tipping is not customary in New Zealand, so you don't need to leave anything extra unless the service was truly exemplary. You can get a local sim card from Vodaphone once you arrive in New Zealand. We recommend this for longer stays. If you are traveling for a short time, we use KnowRoaming International SIM for all our travels. Readers Receive a 30% Discount with our promo code DDSave30. You can order here and have it delivered or find out more at our post. New Zealand has a diverse landscape with volcanoes, glaciers, breathtaking mountains, endless stretches of beaches and luscious forests. 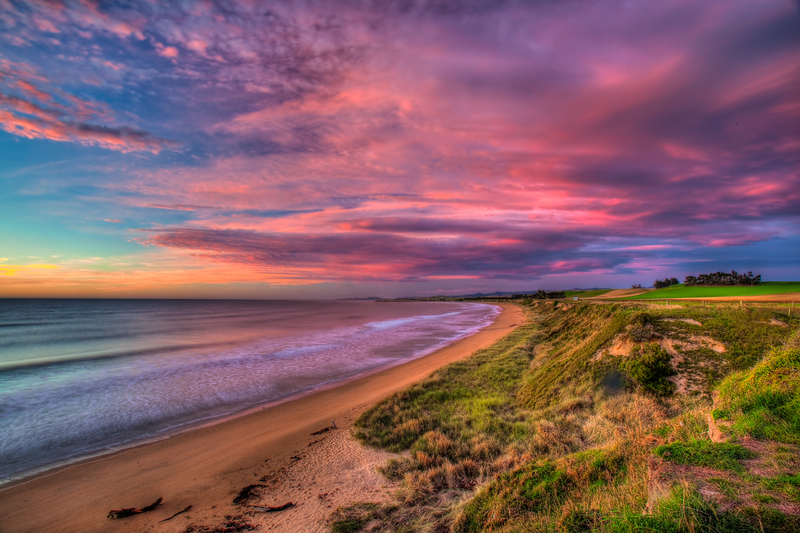 New Zealand's climate varies depending on the area travelers intend to visit. The weather in New Zealand can change in an instant, so travelers should always be prepared for anything! Layers – The general rule of thumb is to pack at least four layers: a base layer, long sleeve shirts, a fleece (mid-layer) and a top layer such as a windbreaker (waterproof!). Don't forget a warm pair of gloves, thick scarf and a hat! Read our tips for layering and check out our ultimate list of travel gear. Thermal underwear – this is especially important if traveling to the South during the winter or hiking in the mountains. Sunscreen – The depleted ozone layer over the country means that the sun is incredibly strong. Along with sunscreen, pack a pair of sunglasses and a hat. Rain Gear – it tends to rain a lot in New Zealand even in the summer. However avoid bringing along umbrellas as the rain is coupled with strong gusts of wind. Instead invest in a good waterproof jacket that will keep you protected. Backpacks – a sturdy backpack or large bag is more appropriate for adventuring as they are easier to carry and you don't have to roll them through the sand of New Zealand's amazing beaches. New Zealand has a varied landscape with two distinct islands. The North Island is warmer than the South with a sub-tropical climate. Snorkelling and swimming is more pleasant up here. But The South Island was made for adventure. Dec-Feb is summer in New Zealand – this is high season with the most visitors. You'll see a lot of campervans on the road and campgrounds fill up quickly. March – April – a great time to visit at just the start of autumn. There are still warm days and crowds start to thin out. But pack layers and a jacket. You'll start to see the fall colours too! We travelled through New Zealand all of March and days were warm. Evenings were cool, but we still managed to snorkel, go sailing, skydive, bungy jump…we did everything you would do in New Zealand during the summer months. -Snowfalls happen in the Central Plateau on the North Island and the Southern Alps in the South. Sept- Nov – Good shoulder season for travel as things start to warm up and crowds haven't arrived full swing. Pilot a Stunt Plane – pilot your own plane, turning yourself upside down and all around at 4000 feet above the ground. Sky Dive Abel Tasman – enjoy the outstanding scenery as you jump from the 16,500 feet. Whitewater Raft Class 5 Rapids – go on the ultimate white water rafting experience through freezing glacial waters and the ultimate class 5 rapids. Swim with Dolphins – have a special and personal moment with a dolphin in the Bay of Islands. Paraglide in Queenstown – take a tandem jump and fly high in the sky overlooking the city, lake and mountains. Bungy Jump! – try a bungy jump (yes it's spelled bungy, not bungee) in New Zealand, the land where it was invented. Tamaki Maori Village – Rotorua is renowned for its Maori culture experiences and the most well-known of them all is the Tamaki Maori Village Rotorua where travelers can experience a journey into the heart of the Maori culture. Visit the Boiling crater of Wai-O-Tapu – also known as the Campagne pool, this geothermal area is filled with thermal springs and geysers. Whale Watch in Kaikoura – get up close and personal with these gentle giants. Explore New Zealand by Campervan – many tourists are driving themselves through the country in campervans because New Zealand is set up perfectly for campervan travel. Trek the Fox Glacier – suit up with thick woolly socks and boots before embarking on a full day walk through this epic glacier. Discover the Glow-worm Caves – be dazzled by the sparkling display of bioluminescent lights in this cave. Check out the Sights of Middle Earth – take a tour with Luxmore Jet for a pinch of adrenaline with a heap of nature through Middle Earth. Flying Kiwi, Luxmore Jet Boat, U-Fly Extreme, Sky Dive Taupo, Rangitata White Water Rafting, AJ Hacket, Nevis Bungy Jump.